Cold Web presses are perfect for bank statements and any type of billing statements. 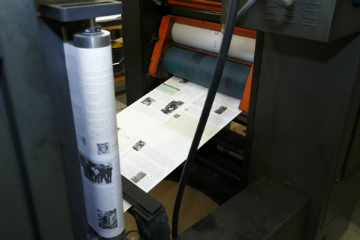 8 ½ x 14 or 8 ½ x 11 cut sheets with or without micro perforations can be done in line for maximum efficiency. Saddle stitched and folded disclosure notices are also easily produced. 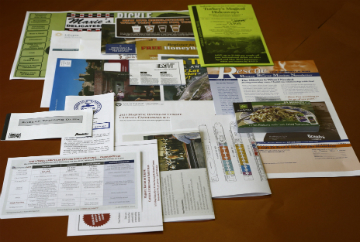 Direct mail components that might include additional items such as contribution cards, buck slips, glue-bound or nested letters are very popular configurations that work very well with this equipment.